If you celebrate, happy Good Friday and Easter Weekend! It’s the last Friday of the month. March is almost a memory. So I thought I’d once again join in and share my Runfessions, hosted by Marcia’s Healthy Slice. We’re all sharing the good, the bad, and the ugly! I’m also sharing these runfessions as part of the Friday Five with Mar, Courtney, and Cynthia! It seems that winter is finally over in Philly…and gosh, I hope it stays that way! I’m glad that Daylight Savings has returned and that the weather is warmer. But I have to runfess that I am one of those grumpy runners who don’t like to share the road/trail with dozens of people. For me, running is about having some peace and tranquility, and I find that hard to do when I’m dodging bicyclists and runners on the wrong side of the trail. It’s great that everyone’s out and exercising, I just wish they’d stay out of my way! Phew…I’m glad I could get that out of my system! I’ll need to find some new trails to explore this spring to avoid the big crowds. These past few months, I’ve forgone working with Coach Kristy in favor of using a training plan from Cherry Blossom since I am one of their Social Runners. So far, things have gone really well! But now that the race is almost here, I have to runfess that I’m nervous about getting back on a more personalized training plan! You may have figured out that I LOVE having structure in my life. It was great working with Kristy because she gave me explicit instructions on what to do on each run, distance and pace. I enjoyed the routine and I worked hard to make sure I got in all of my runs, which I did do most of the time! But it is an investment and coaching prices have gone up. And if I’m being honest, I’m still disappointed with the way things ended at the Annapolis Half Marathon. Yes, I started out way too fast, but I hated feeling so unprepared by those hills. Even more, I hated the feeling of letting down my coach by not meeting my goal. Will having a coach put too much pressure on myself? I don’t know. I’ll have to think this one through. It’s kind of insane and hilarious at the same time. When I think about how I spend my time, all that I do is work, blog, and run. Maybe because I gave up drinking for Lent, I don’t have as much of a social life anymore? It’s really weird. You may also like: Life After the Half Marathon: What's Next? It also really amuses/amazes me how many races I have on tap this year. I already had 2 races in the winter and will next have Cherry Blossom, The Love Run Relay, Run for Clean Air, Broad Street Run, and the 1/2 Sauer 1/2 Kraut Half Marathon in the spring. I’m still deciding whether to do the King of Prussia 10-Miler in late May. And I haven’t even talked about marathon training for Philly in November yet! Hopefully I don’t come off as too much of a loser or a running snob, haha. I have lots of other interests too, I swear! Or maybe we can be losers/snobs together :). 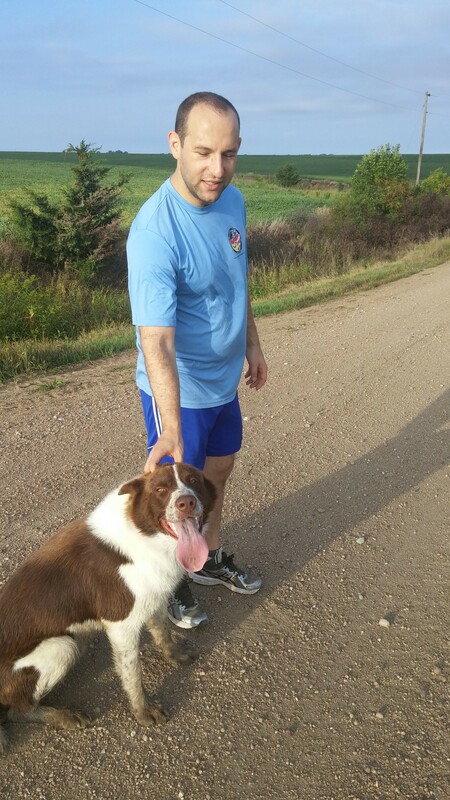 It’s kind of fun running with a dog! I’ve seen several people out on the run with their dogs lately and I have to runfess that I am jealous! We really didn’t have dogs growing up, and I’m actually a cat person through and through. But I think it would be really fun to have a dog to run with once in a while! And I know that Bret would really enjoy a furry running buddy too. There is a group called the Monster Milers where you can volunteer to run with a dog. I would love to get involved. I’m not ready to take care of a dog full-time just yet, but this seems to be the best of both worlds. If I get to work with the Monster Milers, I’ll let you know! Last, let me talk about running shoes. It has really been a nightmare. I never know what’s going to happen when I put on my Mizuno Wave Rider 19’s. Over 120 miles in, they still don’t feel right to my feet or ankles. I’ve been going back and forth between those and my old Nike Pegasus 21’s. Those shoes feel like I’m running on clouds! The only problem is that they have over 300 miles on them, and my right shin starts “speaking” to me while I’m on a run. Thank goodness for compression socks! 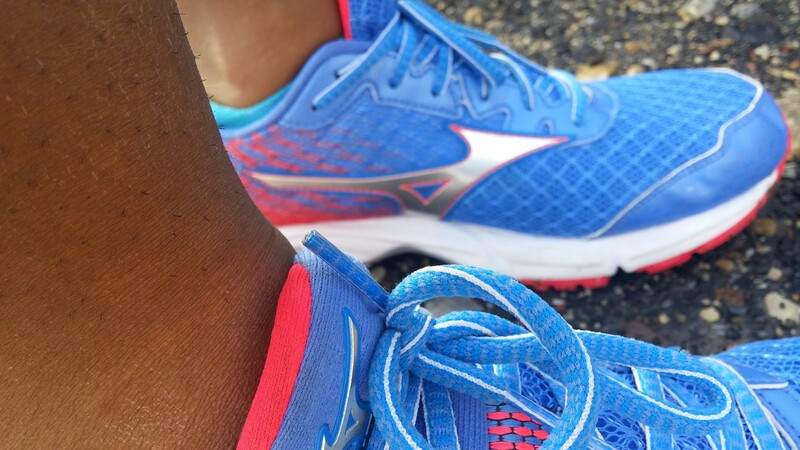 I’m grateful the Mizuno’s felt fine during the Rock ‘N Roll DC Half Marathon (other than that pesky blister from sock friction 9 miles in), but I don’t know whether I should trust them again for the Cherry Blossom Run. Is it the lacing that’s the problem? One thing for sure is that after this race, I’m going back to Nike Pegasus as my primary running shoe. 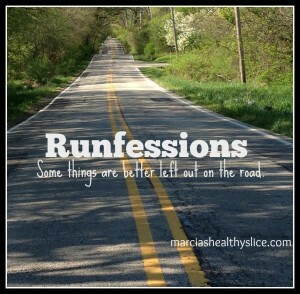 What running confessions are you willing to share? Previous Post Cherry Blossom Training Week 8 Recap Next Post How Did Giving Up Alcohol for Lent Go?